Last day of school printable signs for the 2018-2019 school year are here and ready to commemorate the end of the year and beginning of summer vacation! See below for printable signs for every grade! I don’t know how we’re already talking about the end of the school year, but here we are! If you printed my first day of school signs for this year, here’s your last day of school printable signs for 2019! These are the perfect, easy, and inexpensive way to remember the last day of school. Print out your sign (instructions below), and take a pic to commemorate the end of another fantastic year of school. 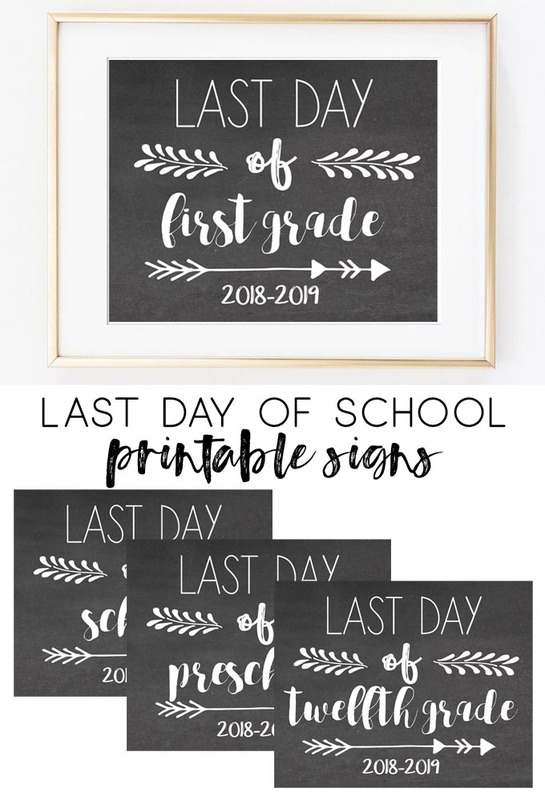 Our last day of school printable signs are so easy to print! Click on the sign(s) you’d like to download, and save to your computer. 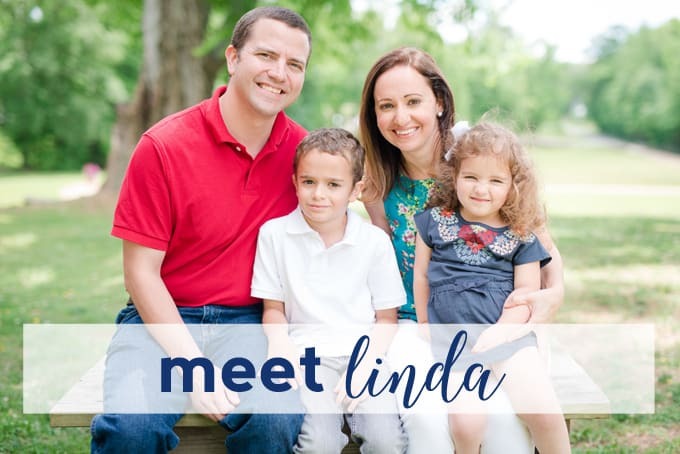 Send to your favorite photo printer to have printed on either matte cardstock or photo glossy paper (at-home printing is, of course, an option, but I find professional printers usually print colors and images better, especially chalkboard). 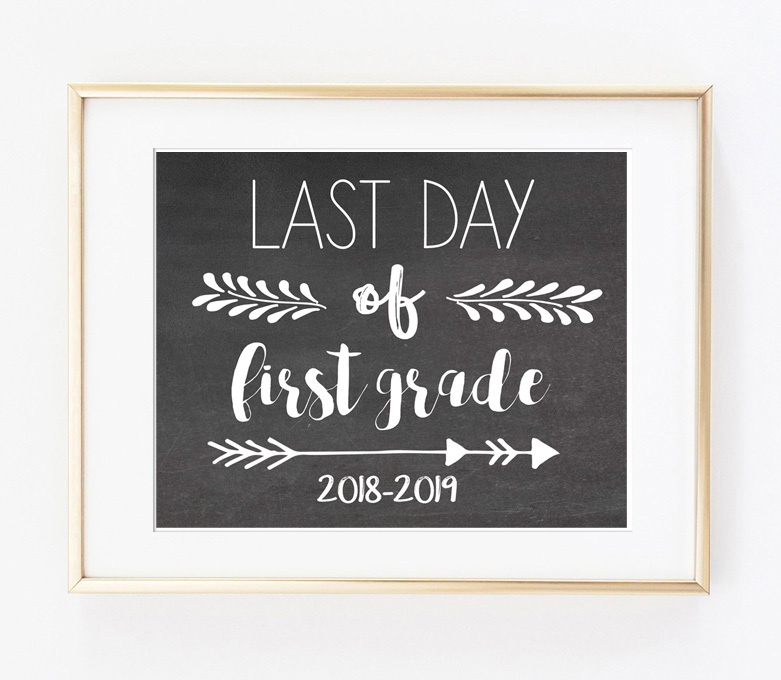 Thanks for reading all about our last day of school printable sign 2019. Have a lovely day!